Academic Staff Yeh, Jason J. H.
Prof. Jason Yeh is Associate Professor in Department of Finance, The Chinese University of Hong Kong. He earned the Associate designation from Society of Actuaries (ASA), received his Bachelor of Science in Electrical Engineering and Master of Arts in Economics from National Taiwan University, and PhD in Actuarial Science, Risk Management and Insurance from University of Wisconsin – Madison. He served as adjunct research fellow of China Centre for Insurance and Social Security Research at Peking University, and of Centre for Prediction Market Research at National Chengchi University. 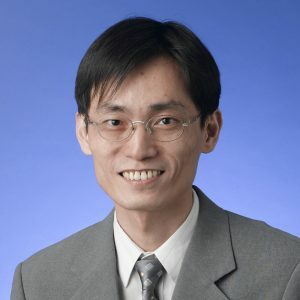 His research papers published in several insurance and finance journals including Journal of Risk and Insurance, and received awards including Wu Chia-lu Best Paper Award at the 18th Conference on the Theories and Practices of Securities and Financial Markets. Jason J. H. Yeh (2012), “Renminbi Internationalisation: Progress, Prospect and Comparison,” YEH Jia Hsing China and World Economy, 20(5), pp. 63-82. Jason J. H. Yeh (2009), “Missing (Completely?) at Random: Lessons from Insurance Studies,” Asia-Pacific Journal of Risk and Insurance, 3(2), 22-33. Helen Doerpinghaus, Joan T. Schmit, and Jason J. H. Yeh (2007), “Age and Gender Effects on Auto Liability Insurance Payouts,” Journal of Risk and Insurance, 75(3), 527-550. Chu-hsiu Li, Chwen-chi Liu, and Jason J. H. Yeh (2007), “The Incentive Effects of Increasing Per-Claim Deductible Contracts in Automobile Insurance,” Journal of Risk and Insurance, 74(2), 441-459. Dennis K. K. Fan, Raymond W. M. So, and Jason J. H. Yeh (2006), “Analyst Earnings Forecasts for Publicly Traded Insurance Companies,” Review of Quantitative Finance and Accounting, 26(2), 105-136. Dennis K. K. Fan and Jason J. H. Yeh (2006), “Analyst Earnings Forecast for Publicly Traded Insurance Companies,” Review of Quantitative Finance and Accounting (RQFA). Dennis K. K. Fan, Raymond W. M. So, and Jason J. H. Yeh (2006), “Analysts Forecasts for Insurance Industry,” Review of Quantitative Finance and Accounting, 26(2), 105-136. C. Y. Cyrus Chu and Jason J. H. Yeh (2005), “Insuring Against Self-fulfilling Financial Crises,” International Journal of Business and Economics, 4(2), 123-139. Chu-hsiu Li, Chwen-chi Liu, and Jason J. H. Yeh (2004), “The Inconsistency between Asymmetric Information Theory and Empirical Evidence in Insurance Markets,” Insurance Monograph, 20(2), 99-112. Jason J. H. Yeh and Joan T. Schmit (2003), “An Economic Analysis of Auto Compensation Systems: Choice Experiences from New Jersey and Pennsylvania,” Journal of Risk and Insurance, 70(4), 601-628. Jason J. H. Yeh, Helen Doerpinghaus, and Joan T. Schmit (2003), “Personal Bias in Automobile Claims Settlement,” The ICFAI Journal of Insurance Law, 1(2), 47-68. Helen Doerpinghaus, Joan T. Schmit, and Jason J. H. Yeh (2003), “Personal Bias in Automobile Claims Settlement,” Journal of Risk and Insurance, 70(2), 185-205. Jason J. H. Yeh, Joan T. Schmit, and Helen Doerpinghaus (2003), “Personal Bias in Claims Settlement: An Example from Automobile Insurance,” Journal of Risk and Insurance, 70(4).